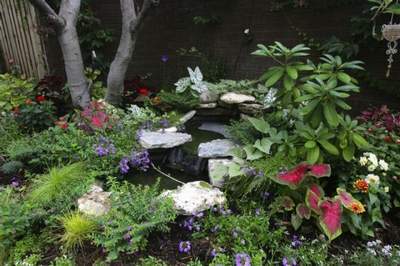 Old Louisville Hidden Treasures Garden Tour June 8th and 9th | Joe Hayden Real Estate Team - Your Real Estate Experts! Old Louisville has so much beauty to offer its residents that it is extending an invitation for others to come and enjoy the historic scenery as well. Saturday, June 8th and Sunday, June 9th from 10:00 a.m. until 5:00 p.m. everyone is invited to come out and take a walk on the floral side at the Old Louisville Hidden Treasures Garden Tour. Tickets are $12 in advance and $15 the day of show. All participants will check in at the front of the Conrad-Caldwell House Museum, located at 1402 St. James Court in Louisville. In honor of their 20th year, the Old Louisville Hidden Treasures Garden Tour will revisit the South Second Street gardens. This tour will feature more than a dozen participants proudly displaying the results of their hard-working green thumbs. The Woman’s Club Memory Garden and Art in Garden at DuPont Mansion on South Fourth will be highlighted and refreshments will be served at the Conrad-Caldwell House. The 20th Annual Old Louisville Hidden Treasure Garden Tour takes plant enthusiasts on a walk through a variety of floral wonderlands with each new presentation offering a more breathtaking view than the last. Take the time to take the tour June 8th and 9th through historic Old Louisville’s luxurious garden district.